(REUTERS) – British Airways was battling its third day of disruption on Monday after a global computer system failure stranded thousands of passengers over a holiday weekend and turned into a public relations disaster. 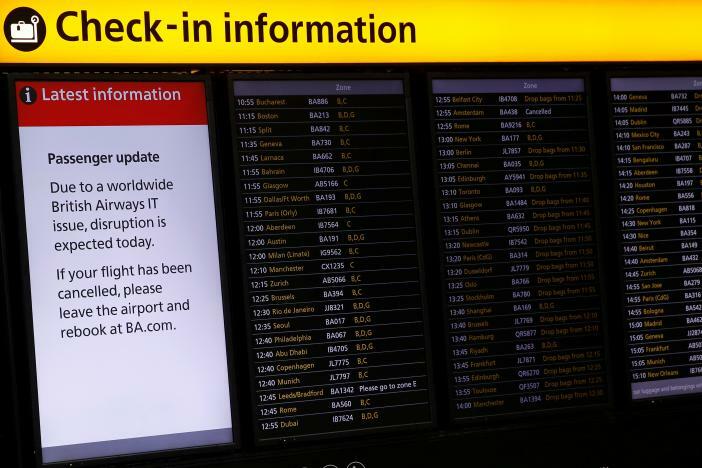 The airline said it was running a full schedule at London’s Gatwick airport on Monday and planned to operate all its long-haul flights from Heathrow, although some short-haul flights had been canceled. “We would never compromise the integrity and security of our IT systems,” a BA spokeswoman said. The airline said it was working to get reunite passengers with their luggage after many items were left at Heathrow over the weekend, although staff on Twitter warned this “could take some time”.